Sublease Opportunity The school was built in phases starting in 1952 with the last phase being in 1981. The school building is available for lease. The complete parcel of land is 3.53 acres. 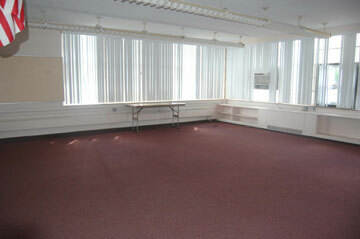 Up to 11 classrooms, most classrooms range in size from 23 ft by 27 ft to 28 ft by 34 ft. The main building has a handicap ramp that provides access to the single story school building. A handicap ramp is built to the two classroom annex building added in 1976. The gym is at the heart of the building. It is approx. 76 ft by 45 ft with a full stage at the north end. 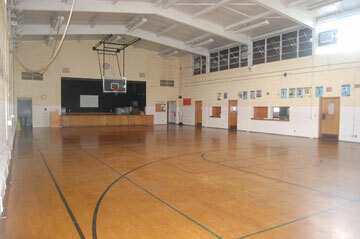 The kitchen is on the east side of the gym. 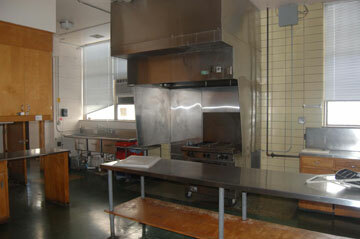 The kitchen has its own exit on the east side of gym wing. Boys and girls locker rooms open onto the gym. They have showers and bathrooms. A full kitchen (approx. 30 ft by 19 ft) is adjacent to the gym. The stove (6 burners and grill) is under and exhaust hood. Five sinks and extra counter space aid in meal preparation. The kitchen has a serving window onto the gym. The area to the east of the building is fenced in and already has a playground structure for the younger students. 73 parking spaces along the building on the north and west sides of the building. There are 3 handicap spaces. The building has a boiler for heat. 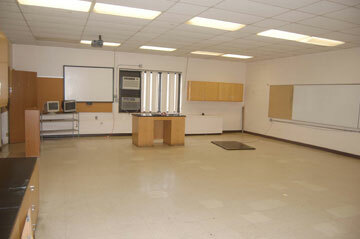 The classrooms are air conditioned. 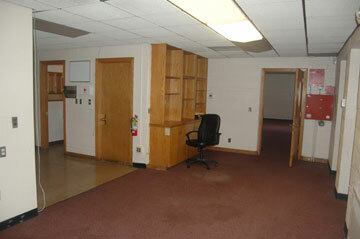 The two detached classrooms have forced air furnace and separate air conditioning units. Detroit (French for strait) was founded as a French outpost 1701 by Antoine de la Mothe Cadillac. The initial settlement of Fort Pontchartrain occupied an area of approximately one acre. The French ruled the area until 1760, and then the British until 1796 when the Americans took over as a result of Jay’s Treaty. The city was incorporated in 1815 and expanded over the years until today’s boundaries were established in 1926.